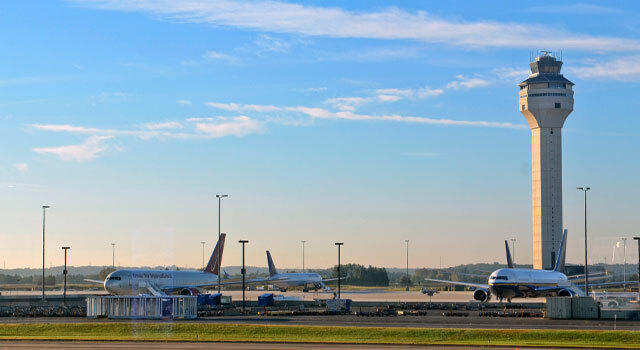 Use this website to quickly find the most important information about Newark Liberty International Airport: Flights (Departures, Arrivals and Delays), Parking, Car Rentals, Hotels near the airport and other information about Newark Airport. 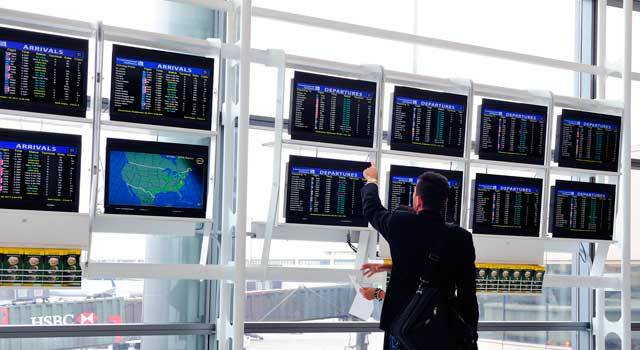 Plan your travel to EWR Airport with the information provided in this site. Check New York's Travel Guide at Bautrip for more information about New York. It is about 15 miles (24km) southwest of Midtown Manhattan and 60 miles (97 km) northeast of Philadelphia, serving both metropolitan areas. Newark Airport was the first major airport in the United States. Currently, it is the fifteenth busiest airport within the country in terms of passengers, serving about 50 carriers. 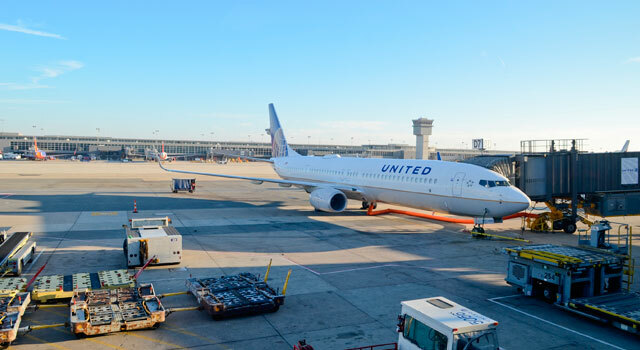 Given these facts, Newark Airport is a major hub not only for United Airlines, which is the airport's largest tenant, and FedEx operate cargo hubs; also is the third-largest hub behind Chicago O'Hare Airport and Houston Intercontinental. The airports in the New York metropolitan area combine to create the largest airport system in the United States, the second largest in the world in terms of passenger traffic, and largest in the world in terms of total flight operations. In 2017, EWR was the fifteenth busiest airport in the United States, serving 43,393,499 passengers. 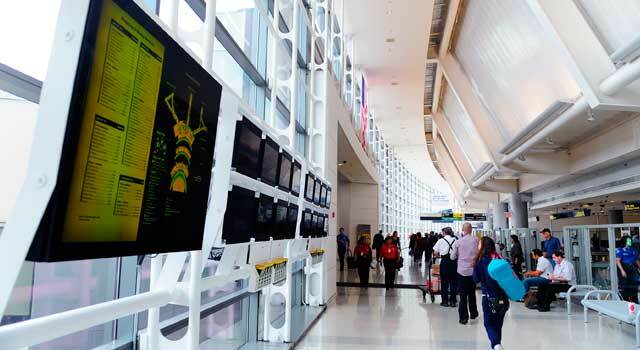 JFK Airport handled 59.3 million of travelers and LaGuardia airport 29.7 million passengers. 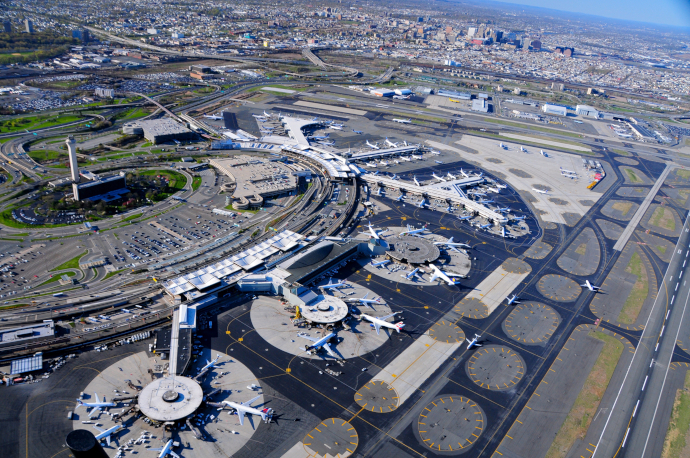 Newark Liberty Intercontinental Airport has 3 passenger terminals, with 3 concourses each one. Terminals A & B were originally built in 1973 and both have four levels. Terminal A: Is the only terminal with no immigration facilities. Terminal B: Is the sole terminal in Newark Airport which is directly operated by the Porth Authority. Terminal C: Is the newest terminal and owned by United. - Has two separated ticketing areas: One for international flights, and the other for domestic flights. - Has 3 Concourses with a total of 57 gates. - Ii is only used by United Airlines and United Express flights. - Newark Airport was opened in 1928, being the first major airport in New York area and in the United States. - More than 60% of all passengers at the airport are carried by United Airlines. - London, Tel Aviv and Toronto are the busiest international routes. - Orlando, San Francisco and Fort Lauderdale are the busiest domestic routes. Various car rental agencies operate at the airport. Check the options and offers here! Items lost at the aircraft or in the terminal, please, contact with your airline. - Private Shuttle: Various private shuttles operate between Manhattan, Newark, JFK, LaGuardia, and other destinations. Go Airlink NYC frequently runs web specials, both one-way and return trips. - Bus: lines 28, 37, 62, 67 and107 run from Newark airport to several destinations within Jersey and New York states. Express Bus runs between Newark Airport and New York City 24 hours daily. Buses depart from Terminal A, B and C and stop at Grand Central Station. NJT buses provide service to Irvington, Downtown Newark and Newark Penn Station. Passengers can connect with the PATH rapid transit system and rail lines. - Taxi: Available from each airport terminal. Rates are based on destination. Tolls and tips not included. To get more information, visit the transportation page. - AirTrain: The AirTrain is a free rail system that connects the terminals with the train station and other facilities such as parking, car rental locations, among other areas at Newark airport. AirTrain runs to Amtrak and New Jersey Transit (Northeast Corridor and North Jersey Coast Line). Passengers can also reach Philadelphia, Pennsylvania, Wilmington Station in Wilmington, Delaware, Penn Station in New York City, Stamford Station in Stamford, Connecticut and Union Station in New Haven, Connecticut.